My name is Sindy Rodenmayer of FatCatPatterns.com. I’m a long time EQ user and a self proclaimed “chronic EQ doodler”. When I began dreaming up the Funky Chickens collection at ElectricQuilt.com, I was sitting in the high school parking lot waiting on my daughter. Here is the paper I doodled on. 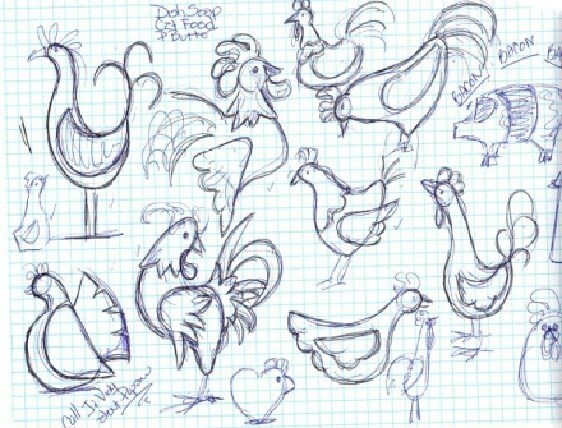 The chickens were just rough drafts, but they gave the basic idea of how I wanted them to look. Now I needed to import the doodle into EQ7 and draw them as appliqué. Have you tried that feature yet? It is so cool! 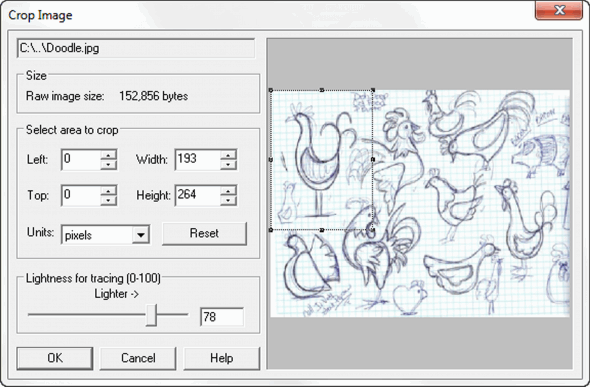 Your image goes directly onto the “Tracing Image” tab. You can then view it on the applique tab and trace over it. It is very easy to toggle the image on and off, allowing you to freely work on the design at hand. This is so much more enjoyable than taping my drawings up next to the monitor like I used to do. Let’s learn how. Step 1: Scan your image and save the file to your computer. Remember where you saved it. Step 2: In EQ7, go to Work on Block. Step 3: Along the bottom of the screen, click the Tracing Image tab. Step 4: Click on Import Image . Find your scanned image and double click to select it. Step 5: A Crop Image box appears. Oh! You notice how my doodle is all jumbled up? Well, the Import Image tool also lets you crop out just the part of the image you want in your block. You do not have to be an artist to use this tool. You may choose to crop the image here by dragging the box around the area you want to trace. You may also choose the image size and lightness of the photo here. When finished, click OK. NOTE : If you don’t crop the image here, don’t worry, you can crop it later from the worktable. 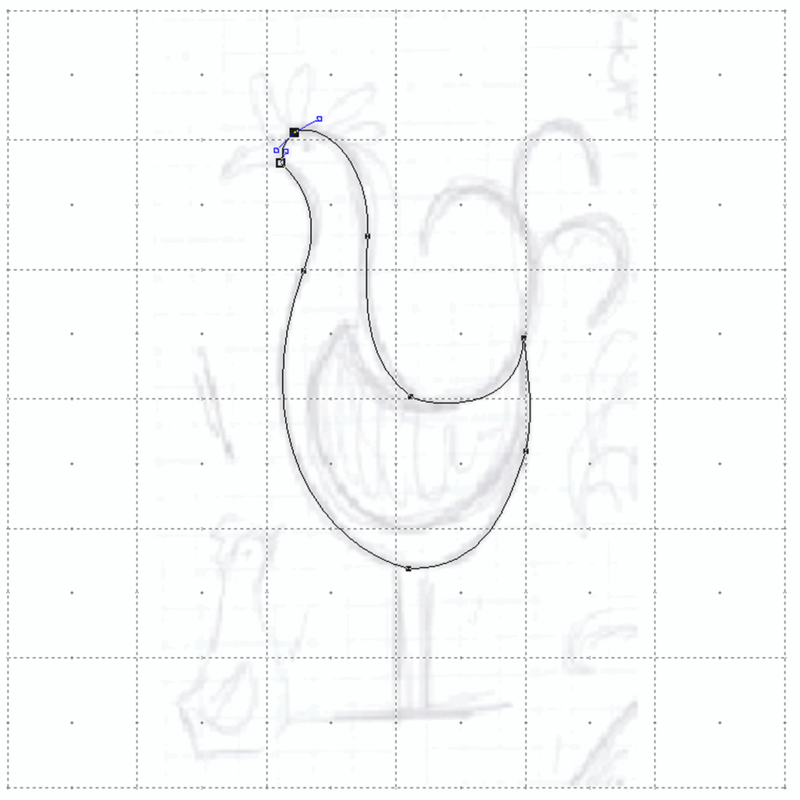 To do this, stay on the Tracing Image tab. Step 6: Once the image is on your worktable, click on the Appliqué tab. Step 7: Using your drawing tools you can now trace your sketch to recreate the image. Step 8: When you are done tracing, click the Color tab to color your design. Step 9: Click Add to Sketchbook. 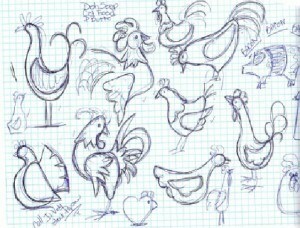 Once I finished tracing all my Funky Chicken, here’s how they turned out, all ready for designing quilts in EQ7! 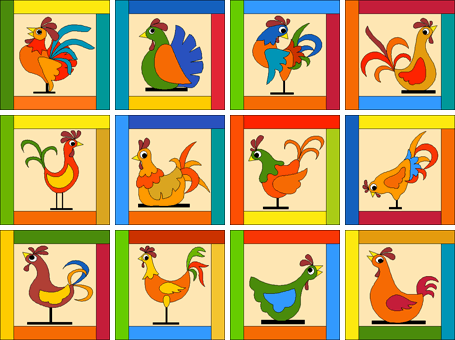 You can purchase this collection of Funky Chickens at ElectricQuilt.com. You can import any image on your computer. 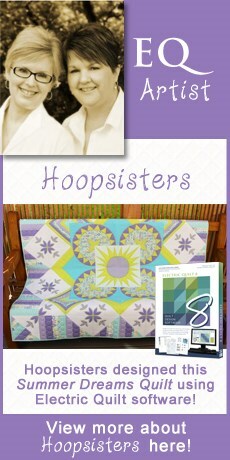 Have some favorite clip art you want to incorporate into your quilt? Or maybe you want to try using a portrait of a family member? Anything is possible if you can trace it. Or how about making your child’s school art into memorable quilt? The ideas abound.